LSM Guide describes the benefits of participating in restaurant week: By offering customers a pre-fixe menu, restaurants are able to accommodate a higher volume of customers every day, since the kitchen is preparing the same 3 or 4 items per table. This usually allows them to turn a profit even while offering a discounted meal. Plus, an affordable pre-fixe menu often drives traffic and trial from new customers that may become loyal customers. Restaurant Week is an inexpensive opportunity to showcase favorite menu items, test new offerings, and create buzz… in addition to more marketing opportunities. During restaurant week, people are actively looking for the restaurants that offer something unique that they wouldn’t normally try on the regular menu, while also wanting to get the most bang for their buck. 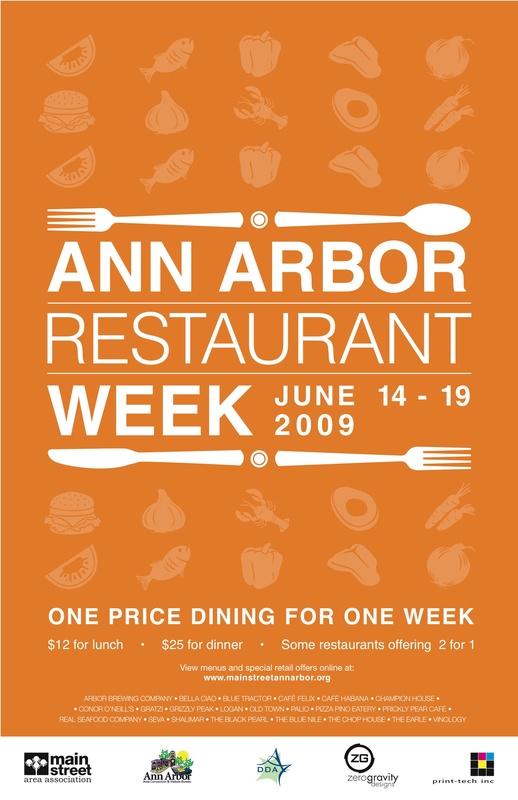 For example, when I was an undergraduate at the University of Michigan, Ann Arbor Restaurant Week was a huge deal for the student body. We would go to Main Street and try the special offerings from all of the expensive restaurants. Restaurant week was the only opportunity for students on a college-budget to wine and dine at the higher-end restaurants. From these culinary experiences on Main Street, we knew which restaurants to ‘take’ our parents when they would come in town. The takeaway from my walk down memory lane is that getting first-time diners in the door is just the first step. From that little taste of luxury, I would recommend The Chop House or Pacific Rim to friends with parents in town for the weekend, or looking for a nice dinner to celebrate an anniversary. Before restaurant week even begins, start promoting and decide on your goal. Are you trying to increase traffic? Bring in new diners? 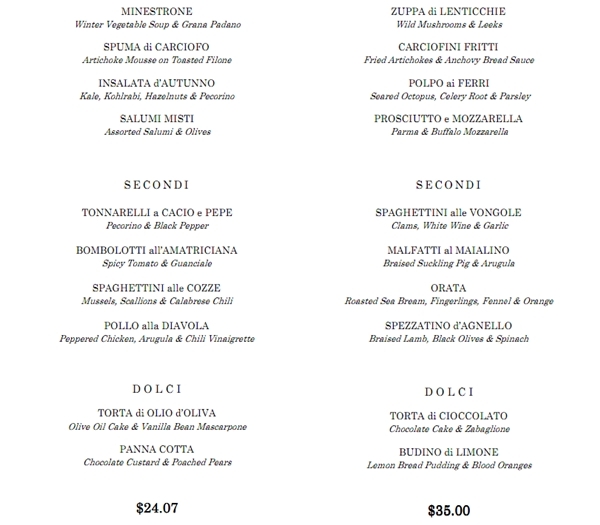 Test out menu ideas? Decide on your goal, and build your menu and promotions to support this goal. – Get the word out that you are participating! Yes, the sponsor for restaurant week will be creating promotions and advertisement, but you need to increase exposure for your restaurant to be noticed above all other participants. – Email early, email often! Send your restaurant week menu to your customers via email, and also post them to social media. Remember, a picture is worth a thousand words, so take some gorgeous shots of the food offerings. Give guests the opportunity to make reservations early and remind them of their reservation the day before. – One Smart Cookie Marketing showcased one specific restaurant that got great hype before restaurant week even began. “For example, Ray’s Boathouse tweeted: ‘10 days of 3-course meal deals coming @SeattleRW. Each day we’ll spotlight one item you can select from our menu #SRW.’” Use your social media to give guests and potential customers a taste of what’s to come and to create excitement for the special menu items. During restaurant week, continue creating and sharing content with guests. – Encourage guests to post photos on social media using the hashtag for your city’s restaurant week in addition to your restaurant’s hashtag. – Create content to promote your restaurant before, during, and after restaurant week. Make a video of your chef in action, and take a photo of the final result. That’s two separate pieces of content you can share with diners. Update your website to showcase your participation in restaurant week and have the menu easily accessible. – One of the most important tips: Collect your diners email addresses and contact information. This is so valuable not only for sending promotions and weekly newsletters, but also to grow your network of loyal diners. – Give diners an incentive to return once restaurant week is over. Promote a future deal for returning diners, and send them an email with the details of the promotion on the last day of restaurant week. – Consider partnering with a charitable organization during restaurant week. Donate a portion of restaurant week profits to a charity that is in line with your business and goals. – If your looking to appeal to new diners, consider showcasing your most popular dishes as a part of your restaurant week menu offerings. – Use your restaurant space to grab more diners. Display your social media handles on the special menu, and around your restaurant. – Restaurant week means increased traffic and a steady flow of new diners. This is the week that you capture these diners into your net and create a loyal relationship. – Don’t go in blind. Before becoming a participating restaurant, see how many other restaurants are also participating in your local restaurant week. If the event is over-saturated, you may want to consider even more promotion to stand out from the crowd. – Make sure your staff is up-to-speed on all promotions during restaurant week, and after as well. When it comes down to restaurant week, the pro’s of participating far outweigh the con’s. If your marketing is done early and done right, your restaurant can reap the benefits from participating in this event. 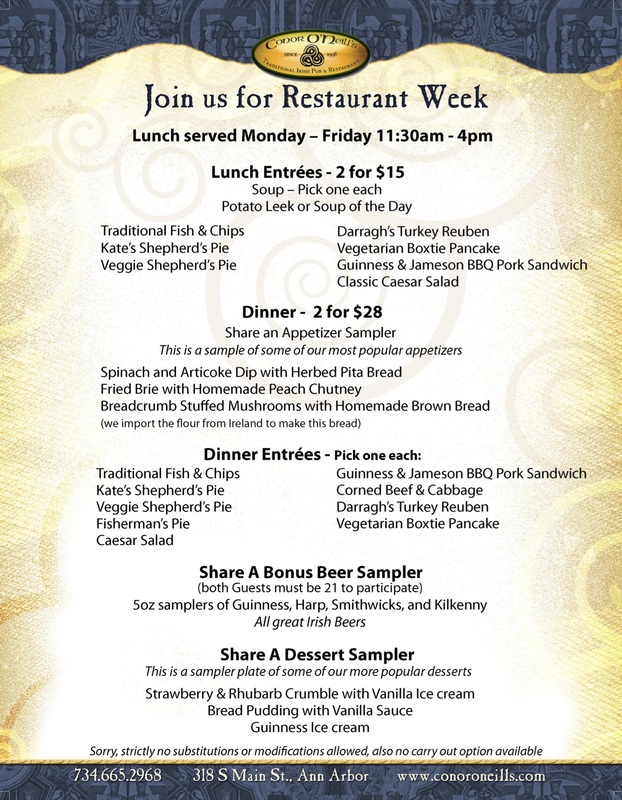 Have you seen great success from participating in Restaurant Week? We’d love to hear your stories, in the comments below! Thank you maya for letting me know about the restaurant week. I didn't know about this earlier. Now i have a got a fair picture of this.